Part Number: YJ221. Compatible Part Numbers: YJ221. Compatible Model: Optiplex 755, 760, 780. Product Type: Hard Drive Caddy. Used Pull. For Dell Optiplex 745 755 780 etc. 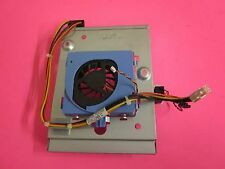 Lot of 2 - 3.5" Hard Drive Caddy. In most cases we double box. For Dell Optiplex 755 760 780. Pulled from a used Optiplex.